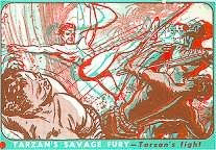 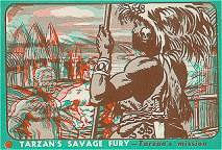 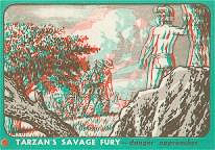 The 1953 Tarzan Savage Fury set was issued in conjunction with the 1953 Tarzan and the She Devil cards. 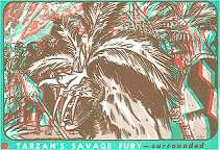 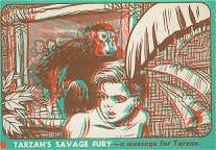 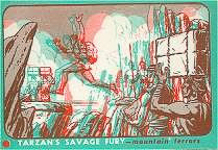 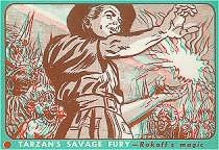 The Topps Tarzan Savage Fury cards were printed in the popular 3-D method using blue and red colors. 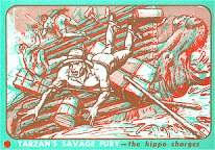 The cards are green on the fronts and orange on the backs. 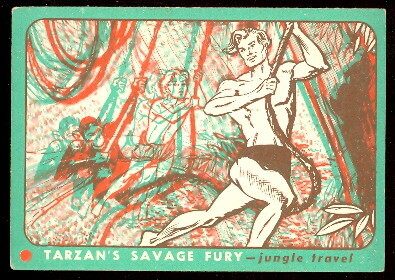 The cards were issued with special 3-D glasses to view the front images. 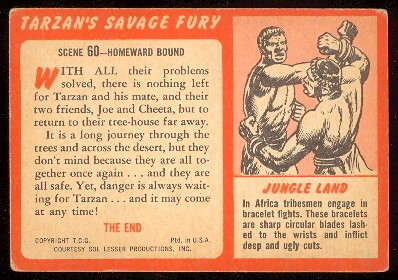 The set contains 60 cards and features various jungle scenes and the cards measure approximately 2-1/2" by 3-3/4".